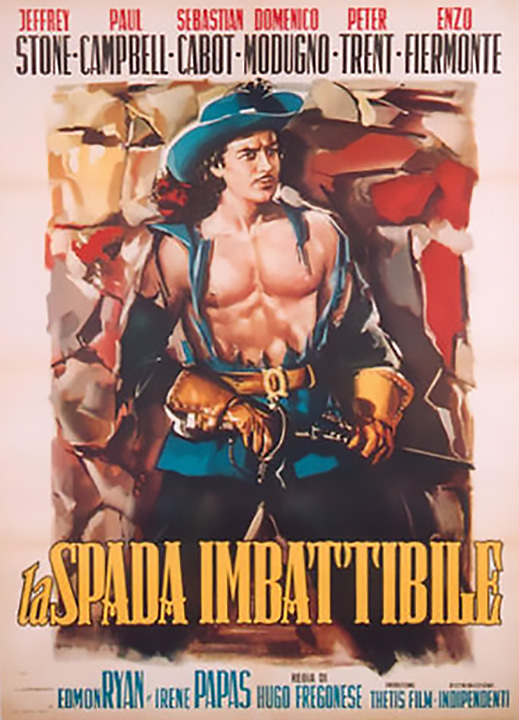 This film, like many other films starring Jeffrey Stone, were edited episodes of a THREE MUSKETEERS TV series made in Italy. Stone's career is an odd one. He hit his stride a few years before the PEPLUM explosion that started with the success of HERCULES (1958) and then he disappeared from the face of the earth. I'm wondering if this series was ever shown in US or Canada? It seems that during 50's there was a show about 3 Musketeers, but I'm not positive about that.